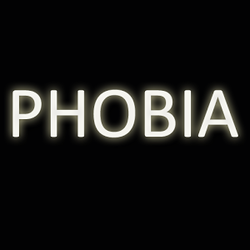 Phobia - A phobia (from the Greek: meaning "fear" or "morbid fear") is, when used in the context of clinical psychology, a type of anxiety disorder, usually defined as a persistent fear of an object or situation in which the sufferer commits to great lengths in avoiding, typically disproportional to the actual danger posed, often being recognized as irrational. 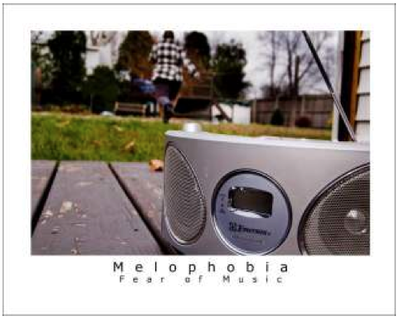 BRAINSTORM possible ideas for your Phobia photo. 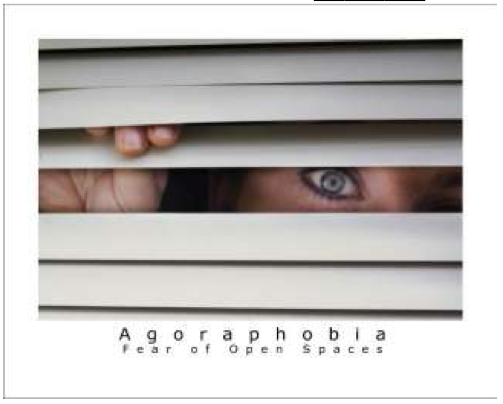 REVIEW the above “things to consider” points before taking your phobia photographs. DRAW at least 2 different CONCEPTUAL SKETCHES displaying possible Phobia ideas first in paper. GET APPROVAL and photograph your ideas based on your conceptual sketch(s). Add a white border to your finished photo in Adobe Photoshop and put the name of the Phobia and description as depicted in the above examples. What aspect of your finished works do you find most successful? What aspect of your finished works do you find least successful and why? 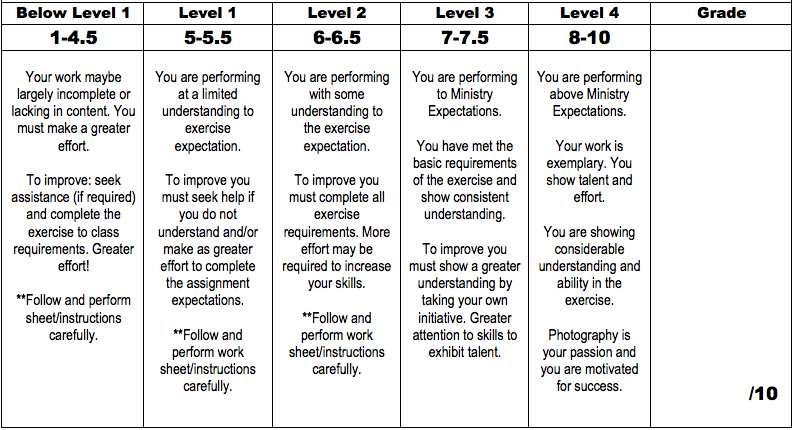 If you had to complete this assignment again, what aspect would you change/improve on and why?